London 3 July 2014. 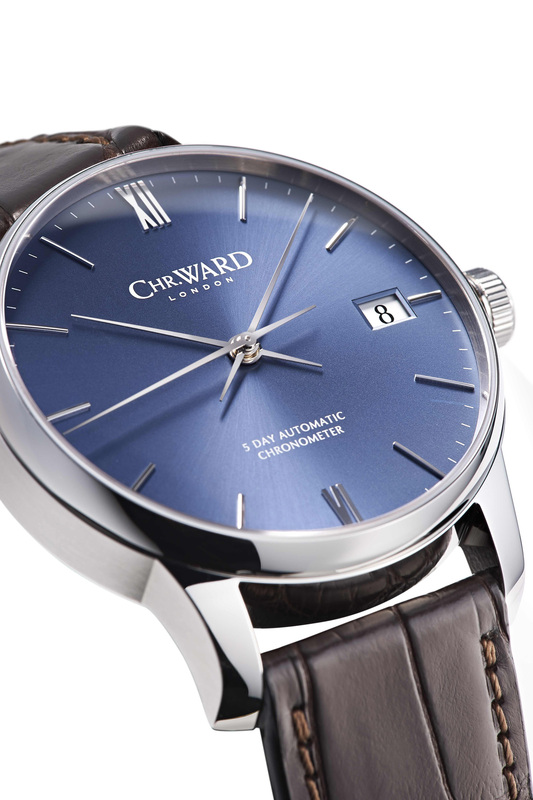 British luxury watch brand Christopher Ward (London) announces three significant launches in the evolution of the business – its own in-house movement Calibre SH21, a business merger and a stunning new model in the flagship Harrison Collection. 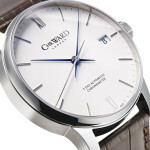 True to form, Christopher Ward has chosen to celebrate its 10th anniversary with a stunning declaration of independence – the launch of Calibre SH21, the company’s first in-house movement – creating a significant strategic platform for the brand’s next decade of development and expansion. 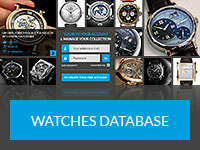 Chris Ward, eponymous co-founder of the brand, describes this as “probably the most significant watch industry development by a British brand in the past 50 years”’. 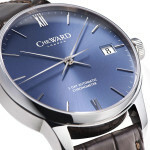 Through an innovative approach and unique blend of quality, value and service, Christopher Ward has established a powerful global reputation among watch fans. Now, despite still being a relatively young and independent brand, the company has advanced to a whole new level with the launch of Calibre SH21. Conceived and designed over the past four years by Christopher Ward’s watchmaker, Johannes Jahnke, SH21 is entirely Swiss-made by some of the industry’s finest craftsmen. It has been developed using an adaptation of the car industry’s ‘Baukastensystem’ principle, which literally translates as “building blocks” which, in the case of SH21, means that complications such as a chronograph, GMT and even a moon phase are already plotted for future release. Not that SH21 isn’t without its own sophistication. 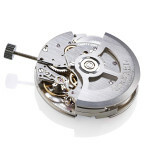 There is a hefty 120-hour power reserve supplied via in-series connected twin barrels, a date calendar and a hacking second hand. A small second hand modification at 6 o’clock is also already built in, though not used on this launch watch. 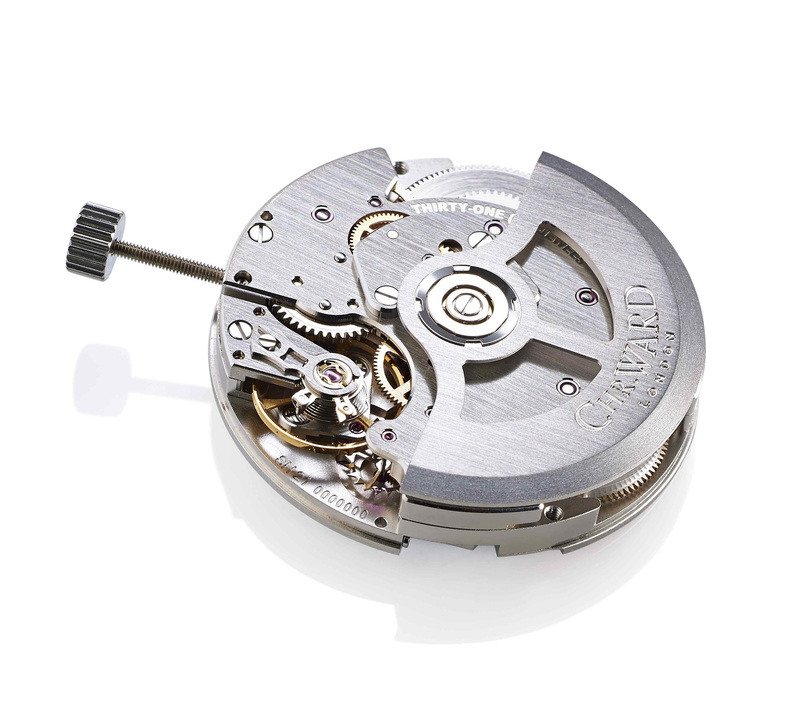 Significantly, every SH21 will also receive chronometer status from COSC, which is further evidence of the movement’s quality. “For me, that comment epitomises two hugely contrasting spirits at opposite ends of this industry; the entrenched conservatism of the established brands and the dynamism of Christopher Ward and other independents. “Calibre SH21 provides us with our own unique movement and helps us enhance the security of our supply line. Even more importantly it opens up a fantastic range of future options for us to develop our own family of movements as well as new avenues to fully leverage the Christopher Ward brand. The first opportunity to do this is the beautiful C9 Harrison 5 Day Automatic, housing the SH21, which we also launched today. 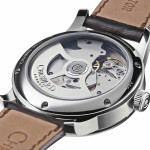 Christopher Ward’s long-standing association with Swiss movement developers and manufacturers Synergies Horlogères SA, led by Jorg Bader, was the foundation for the development of the new calibre and the newly merged company. The ‘SH21’ name reflects the company’s initials and the ambition that this movement will become a classic of the 21st century. 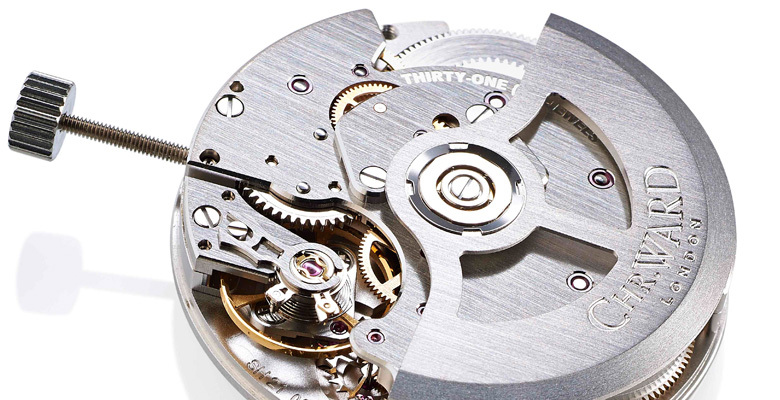 That meticulous attention to detail is powerfully articulated in the time and supreme craftsmanship invested in the movement, such as the seemingly unadorned finish to the SH21‘s bridges and tungsten rotor, for example, which includes a traditional hand-grinding finish that utilises the delicacy of fingertip precision with leading edge technology. The subtly sophisticated result is the strongest expression yet of the brand’s long-standing emphasis that ‘less is more’. That tone is also very much alive in the first model to house the SH21 movement – the C9 Harrison 5-Day Automatic – which was also launched at today’s event. On any other day, this beautiful new model would have had the stage to itself! 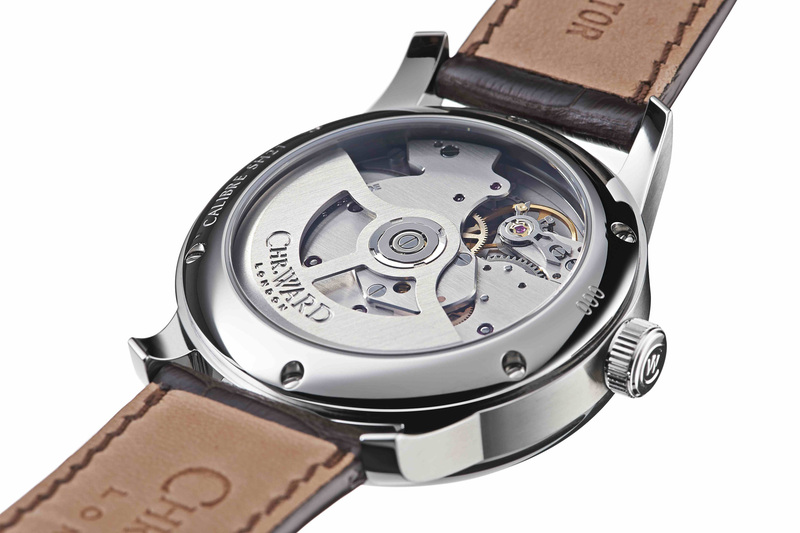 Visually, the C9 Harrison 5-Day Automatic conveys the classic understatement of design seen in other models in the Harrison Collection, perceived by many as the supreme expression of the brand’s technical and design ambitions. 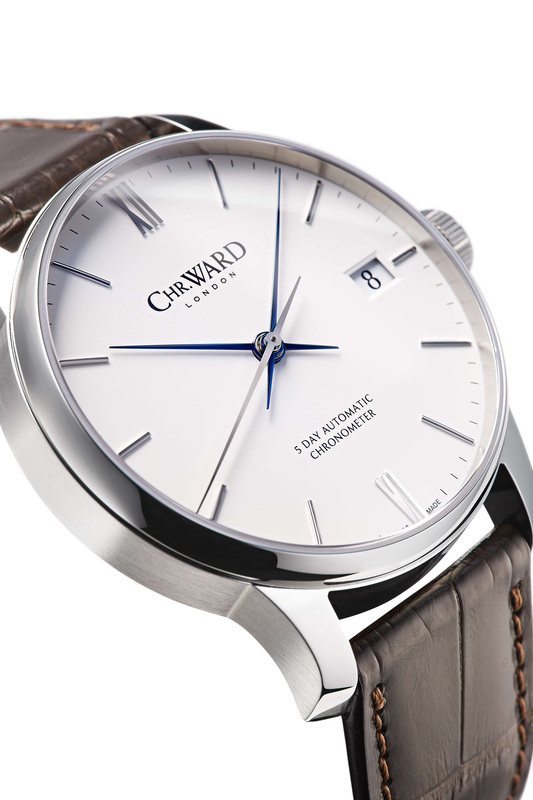 Never a brand to stand still, Christopher Ward has complemented this design tone with a contemporary edge, such as the vivid but graceful central hands and the elongated hour markers. All of which is underpinned by a unique powerhouse movement, including of course a 120-hour power reserve. That mix of design and technology – with a proud nod to the past decade and a confident stride to the future – makes the C9 Harrison 5-Day Automatic, with SH21 at its heart, the perfect articulation of the Christopher Ward manifesto and the brand’s future ambitions.